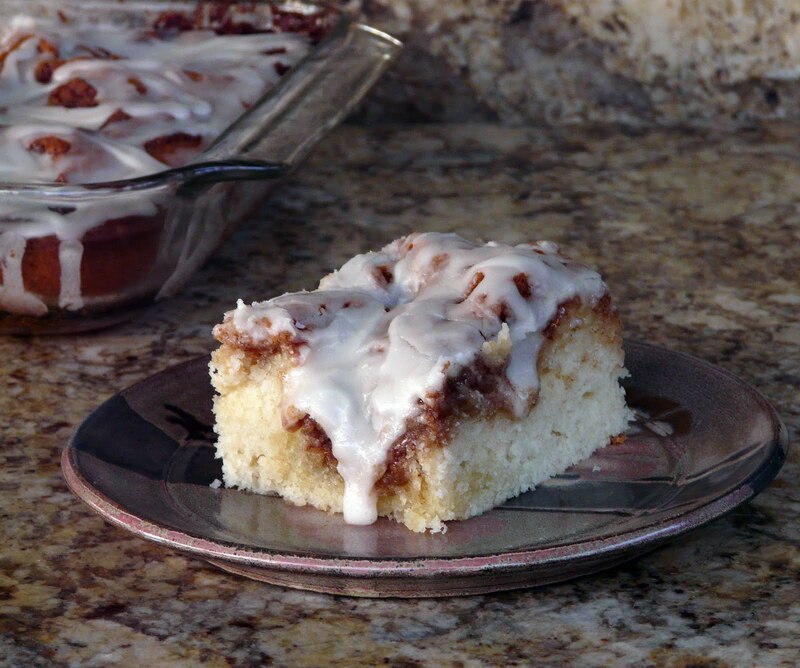 If you love Cinnamon Rolls you will love this cake. Taste wonderfully close to a cinnamon roll but with a cake texture. Takes no time at all to mix up and bake. No kneading or waiting for the yeast dough to rise. Cream Cheese icing that I top my traditional Cinnamon Rolls with. There are a number of similar recipes on line. A Google search brought up many. But it was the picture on Life As a Lofthouse that was my inspiration to bake this cake. Directions: Preheat oven to 350 degrees. Spray a 9x13 glass baking pan with cooking spray. (I buttered the pan) Set aside. In an electric or stand mixer add the flour, salt, sugar, baking powder, milk, eggs, and vanilla. Once combined well , slowly stir in the melted butter. Pour into the prepared 9x13 baking pan. Bake at 350 for 28-32 minutes or when a toothpick inserted near the center comes out nearly clean. Cream the butter and the cream cheese. Add the vanilla. Beat in the powdered sugar. Heavens to Mergatroid (SP?) Ann..if I didn't have a Jacques cake in the fridge I would be baking him this..I will the next one. Dear god....I did NOT need to see this at 8:20 in the morning. I want some of that cake!!!! Oooh, what a great idea, who coudn't resist this cake? It's gorgeous! 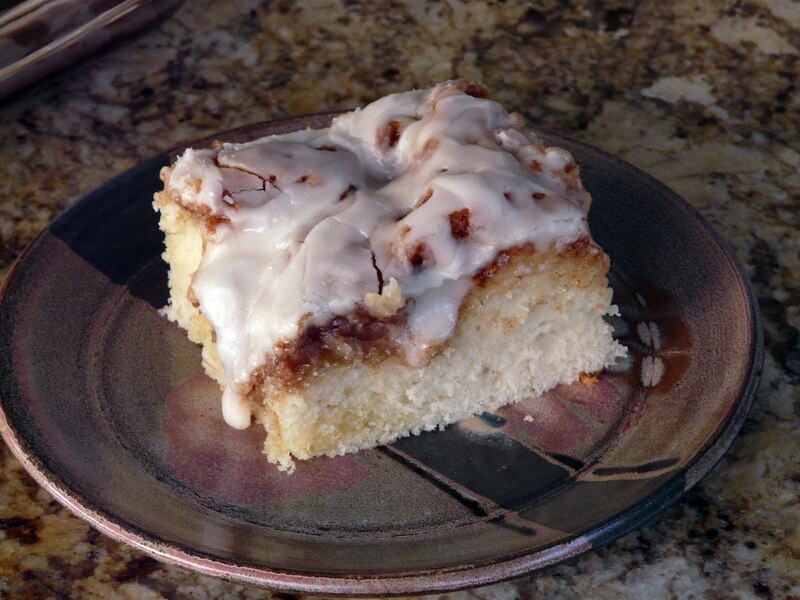 Ann, I just made your yeast cinnamon rolls yesterday! 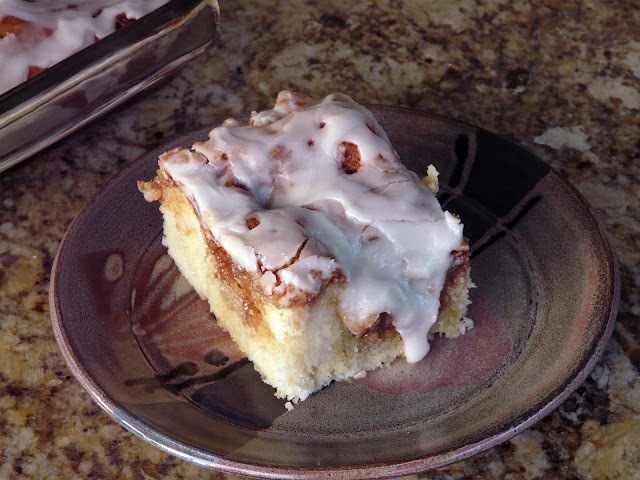 It is now my 'go to' recipe for sweet rolls. I am sending them home with my kids today. I have printed this one out. It sounds and looks wonderful. Nice to have something so fast and easy. Ann.. my daughter and her family returned around 11PM last night from Maine.. 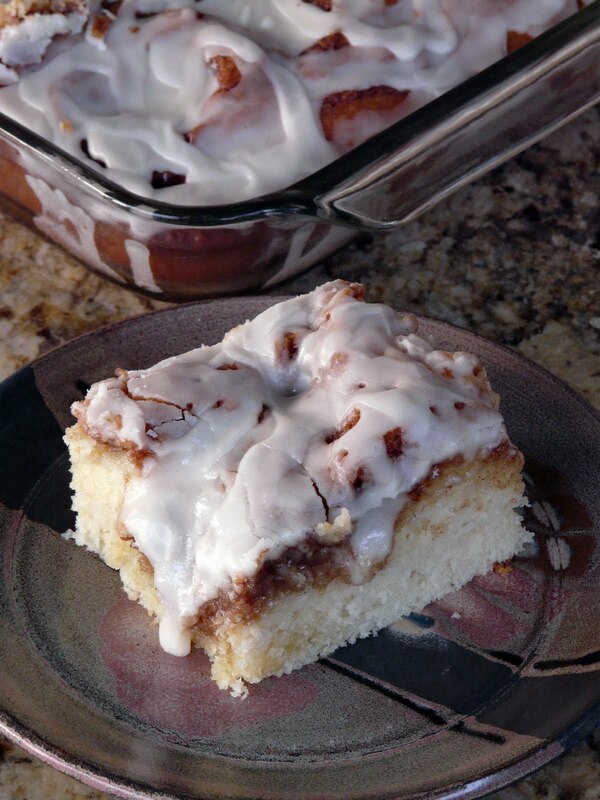 I baked this this am and Jacques just walked it over..I got a phone call right away saying..MMMM this is so good..
Made your cream cheese icing..I am sure the other is good too but I had never tried cream cheese icing on a cinnamon bun type cake.Delish..warm..heaven.